They may be leading some of the most profitable firms with the highest number of employees in any single company in India, but the chief executives of top IT firms in the country rarely figure among the top-paid execs, a list dominated by steel magnates, media moguls, telecom czars and chieftains of cement majors, among others. But a number of them have, over the recent past, scaled past the million-dollar pay packet. Take Jeya Kumar, for instance. The former CEO of Patni Computer Systems retained the rank of the highest-paid honcho of an Indian stock exchange-listed IT company last year, according to a Techcircle.in study of IT bigwigs' paycheques. Jeya Kumar, who took on an advisory role in the IT firm after iGate acquired Patni Computer and Phaneesh Murthy took over as the MD & CEO of the company, pocketed Rs 12.88 crore ($2.8 million) for the year ended December, 2010 â€“ 5.6 per cent more than the previous year when he earned Rs 12.19 crore ($2.7 million), according to the company's annual report. Jeya Kumar's pay structure also underwent a change during the last two years. While he received a fixed component of Rs 11.9 crore as salary, allowances & perks in 2009 besides PF contribution, his remuneration was split into fixed and variable pay in 2010. While salary, allowances and perk dwindled to Rs 7.5 crore, he more than made it up with Rs 5.1 core in performance-linked pay, in addition to higher PF contribution. This was much more than what top executives at TCS, Wipro and Infosys earned last fiscal. One may argue that key executives at some of these Tier I IT firms are also promoters/co-founders and make a large sum out of the dividends. But on a one-on-one comparison regarding service remuneration as a management executive, Jeya Kumar came on top. An Australian citizen, Jeya Kumar was brought in as a professional CEO by Narendra Patni, founder of Patni Computer. Kumar's total pay (not counting stock options and severance pay that he may be entitled to) was much above Wipro's Azim Premji who was paid Rs 7.86 crore for the year ended March, 2010, making him the second highest paid IT sector boss two years ago. According to latest disclosures, multi-billionaire Wipro promoter Premji took home a quarter of a million dollar or around Rs 1.1 crore while expat executive Martha Bejar was paid $1.27 million (Rs 5.7 crore) for FY11. Bejar, who was earlier with Microsoft, joined Wipro in July, 2009. Early this year, she took over as the chairperson and CEO of Infocrossing, a firm acquired by Wipro four years ago. Of course, former Wipro top guns Suresh Vaswani and Girish Paranjpe pocketed around $2 million each including the severance pay but even then, they were much below the mark, compared to Jeya Kumar. 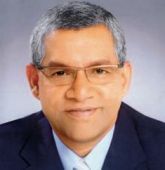 Ashok Vemuri, senior vice-president (banking and capital markets), was the highest paid executive at Infosys last year(yes, not Infosys CEO S Gopalakrishnan) who pocketed Rs 5.3 crore ($1.17 million). CEO and MD of TCS, N Chandrasekaran, was also paid the same amount, making him yet another IT executive who scaled the million-dollar-pay-packet mark last year. This, however, does not include names of another set of Indian heads of companies not listed in India, such as Phaneesh Murthy of iGate (he has become the new chief of Patni), Francisco D'Souza of Cognizant and also Pramod Bhasin, who gave up the reins of Genpact to NV 'Tiger' Tyagarajan. Murthy, who now faces the challenge to see through a business consolidation so that iGate and Patni can reap benefits of synergies from one of the biggest M&A deals in the Indian IT/ITES space, was paid $3.1 million (including stock option awards, besides other cash components) while Bhasin's total compensation for 2010 more than doubled over the previous year to $6.7 million. However, the biggest of them all was Nasdaq-listed Cognizant's D'Souza whose total pay packet also more than doubled to $11.18 million(~Rs 50 crore) largely due to a generous stock award of $9.8 million. This arguably made D'Souza the highest paid executive in the Indian IT/ITeS industry last year. Incidentally this was even more than what Naveen Jindal of Jindal Steel & Power pocketed for 2009-10 that made him the top paid executive of a public listed firm in the country in FY10.